The MathRack Bead String 100 in Groups of 5 provides a linear model to acquire a deep understanding of number sense. 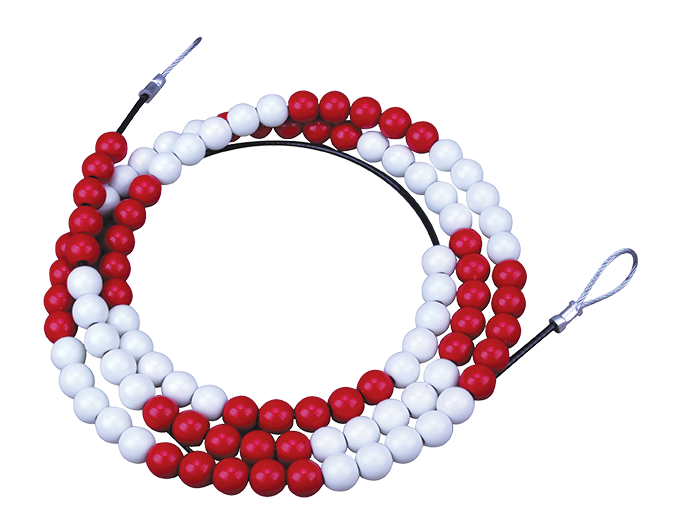 The MathRack Bead String 100 in Groups of 5 provides many opportunities to understand magnitude, skip counting by 5s, how numbers relate to 5 and 10, rounding, addition and subtraction, equivalency and much more. This model is ideal for supporting and stretching student’s strategic thinking.